When you choose one of the exclusive new homes in Ponte Vedra FL that make up the Hammock at Nocatee community, you can rest assured you’ll be living the good life. With only nine total homesites and three already presold, now is the time to act if you’ve been considering purchasing your own coastal dream home in Northeast Florida. Nocatee itself is more than just your average community; it’s a lifestyle that easily blends a variety of home communities with parks, schools, recreation, shopping, entertainment and more. This master-planned community even features its own water park that offers spectacular views and fun. Everything you need is at your fingertips, while still providing the privacy and beautiful natural surroundings you want in a coastal community. Glenn Layton Homes has been creating dream coastal homes for three decades and works to build homes that are complementary to the environment in style and substance. They also strive to design homes for their clients that far exceed the buyer’s expectations. Energy efficiency, cutting-edge home technology, and home designs that make every day feel like a vacation are just some of the ways they meet their own high standards. The Hammock neighborhood of Nocatee, where you’ll find the exceptional homes by Glenn Layton, is one of the community’s most distinctive neighborhoods. Here you’ll find oak trees, split-rail fencing, and other elements that call to mind the elegant-yet-rustic Florida heritage of the area. The history of the region continues in some of the home design elements, such as large covered porches, second- and third-story towers, plank and shake siding, and coquina-shell walls. While you may choose design elements that are traditional or rustic in appearance, there is nothing old-fashioned about these homes. The latest in home automation ensures your home runs efficiently and smoothly. 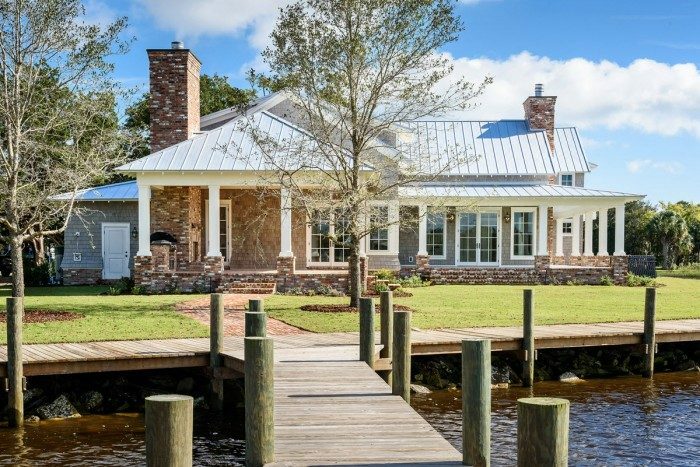 The homes that Glenn Layton builds, in Nocatee and throughout Northeast Florida, make the most of their surroundings and the coastal lifestyle, down to the native plantings they include in the landscape to reduce irrigation needs and other maintenance. High ceilings, large windows, cascading French doors, covered porches and patios all make for seamless indoor/outdoor living that expands your home’s living space. Open floor plans, huge kitchens perfect for daily life as well as entertaining, and spa-like bathrooms make your home feel like an exclusive getaway resort. Every day, you will be able to make the most of cooling cross breezes, revel in the fine finishes available through the design center, and enjoy your beautifully landscaped property throughout the year, thanks to everything from pools to fire pits. The new homes in Ponte Vedra FL at Nocatee provide an exciting new approach to community living. This carefully planned community makes your daily life easier, and the homes that Glenn Layton builds provide further comfort and ease, resulting in a quality, custom home that is unique to you. Contact Glenn Layton Homes today to claim your own piece of the coastal good life.